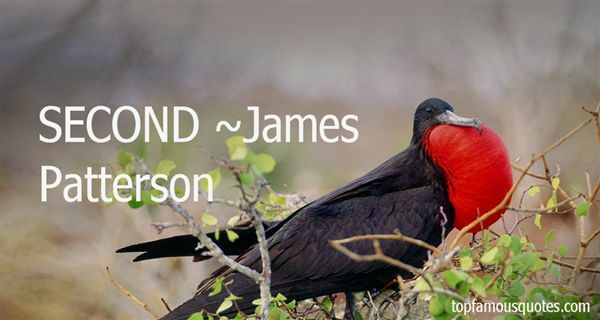 Reading and share top 453 James Patterson famous quotes and sayings. Browse top 453 most favorite famous quotes and sayings by James Patterson. As children, as we learn what things are, we are slowly learning to dismiss them visually. As adults, entirely submerged in words and concepts, we spend almost all of our time thinking and worrying about the past and the future, hardly ever looking at or engaging with the world visually." What Did James Patterson Talk About?